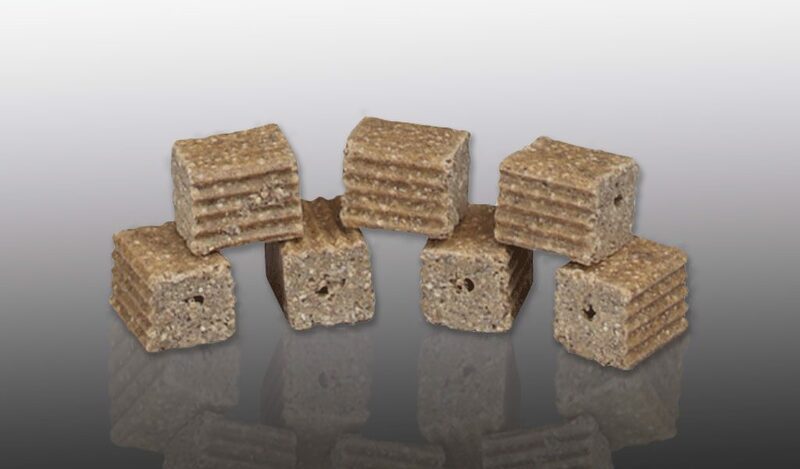 With mini blocks, paraffinized bars and paraffinized pellet formulations, BootHill® gives users baiting options wherever moisture is a concern. Its active ingredient, bromadiolone, is a second-generation anticoagulant rodenticide invented by Liphatech. Combined with whole grains and a peanut flavor rodents are attracted to, BootHill is a strong choice for any biosecurity rodent control. Rotate to BootHill when using bromadiolone mini blocks or pellets in your rotation. Liphatech is the only manufacturer that can offer you a complete rotation of soft bait, block bait or both. 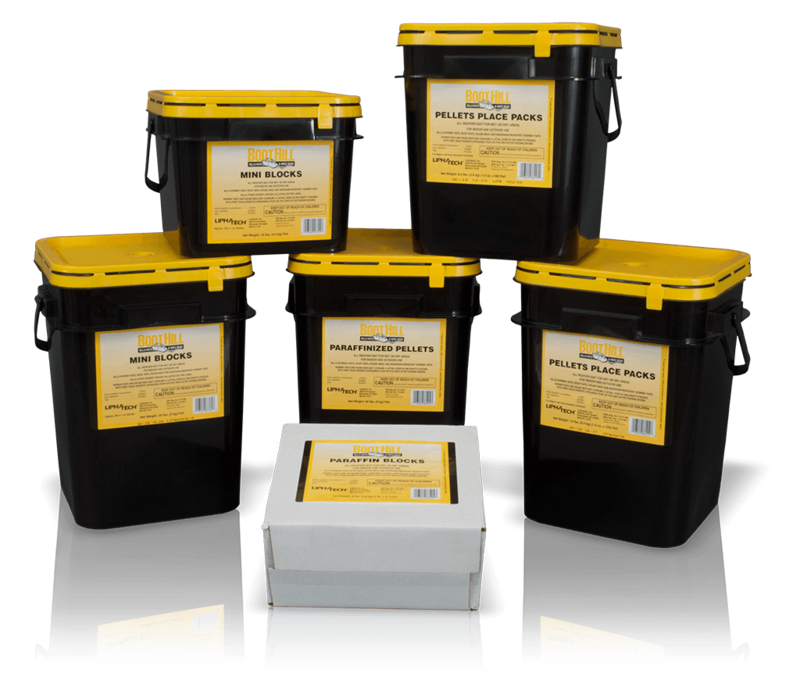 Only using one active ingredient or bait type in areas with ongoing rodent activity can increase the potential for a resistance problem. Mouse populations in particular often prefer one flavor or texture of rodenticide over another (behavioral resistance). 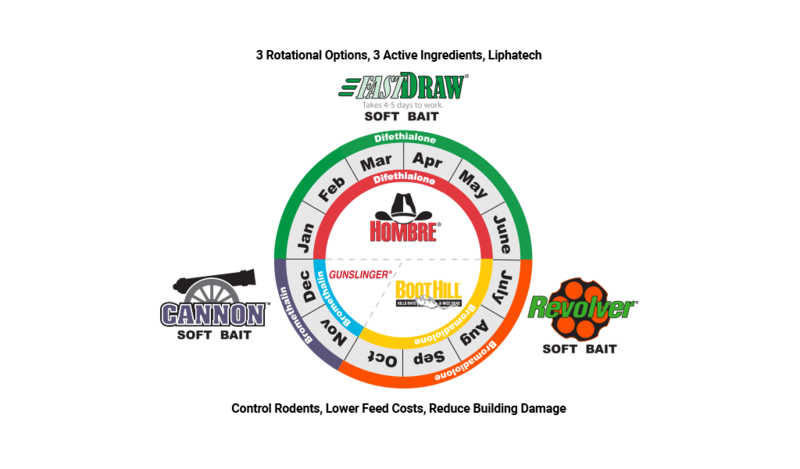 A rodenticide biosecurity strategy that includes rotating to BootHill from July through October just makes sense. BootHill 1 oz. mini blocks are designed with gnawing edges and a center hole for securing. Contains bromadiolone (50 ppm), a second-generation anticoagulant rodenticide; Vitamin K1 is the antidote. One-pound blocks than can be easily separated into eight 2 oz. bars. 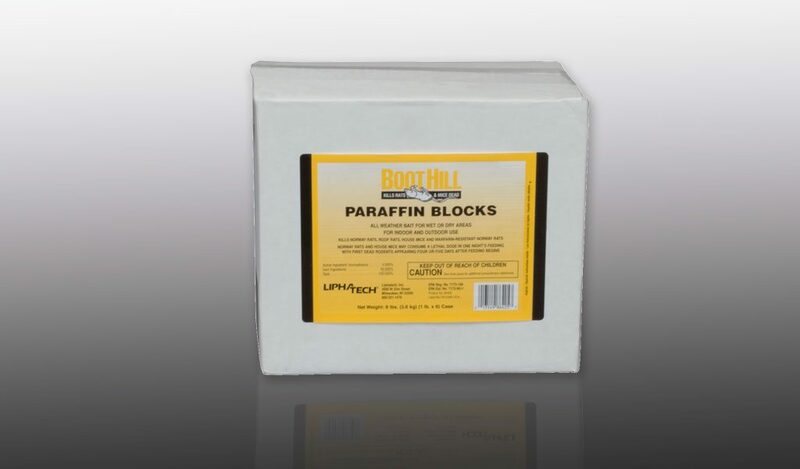 Horizontal holes allow BootHill Paraffin Blocks to be secured on Aegis® or other bait station rods, or outside of bait stations in areas inaccessible to non-targets (people and/ or animals) on nails or wires. Labeled for burrow baiting and control of Norway rat infestations. 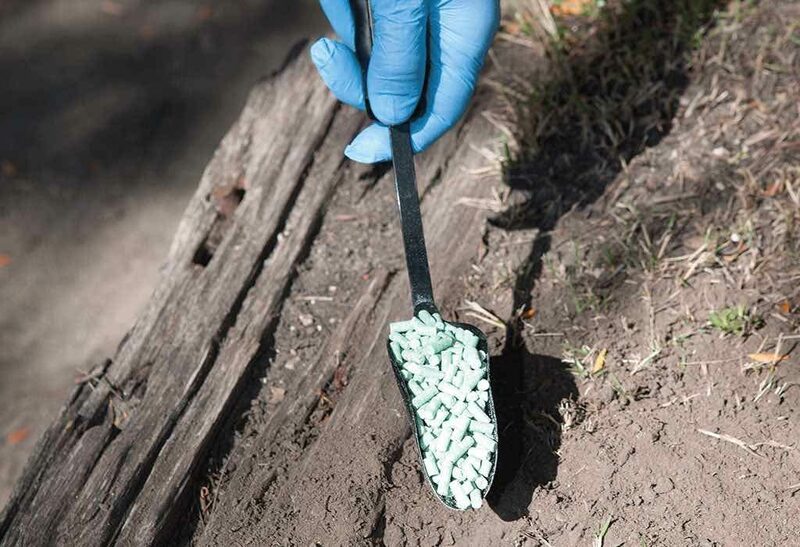 Use a long-handled spoon to place pellets deep into burrows; do not crush or close burrows. Available in bulk 20 lb. pails. Convenient 1.5 oz. 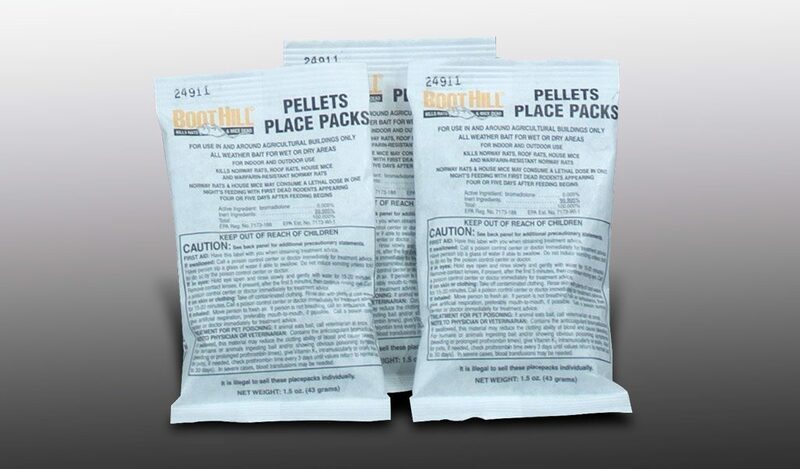 pellets place packs for hard-to-reach baiting locations. Formulated with bromadiolone (50 ppm), a second-generation anticoagulant; Vitamin K1 is the antidote. Available in buckets of 90 or 150 packs.